Christmas on Honeysuckle Lane premieres on November 24 at 9 p.m. ET/PT on Hallmark Movies & Mysteries. 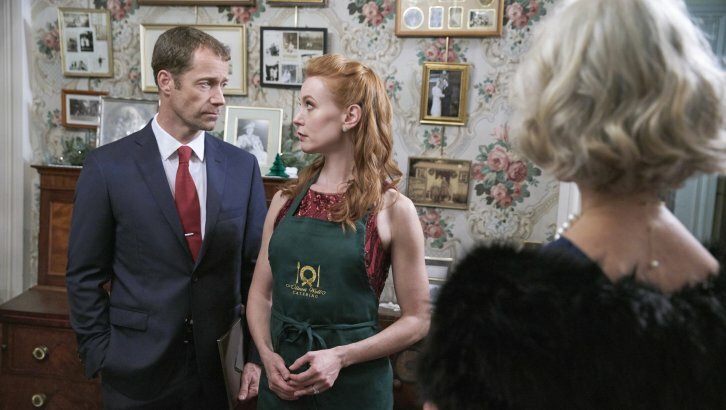 The film stars Alicia Witt and Colin Ferguson, with a cast that includes Laura Leighton (Melrose Place), Ariane Rinehart, Jill Larson (All My Children), Mary McDonough (The Waltons), Jordan Dean and Kami Cotler (The Waltons). With her parents passed, Emma (Witt) returns home for one last Christmas on Honeysuckle Lane before the family home is sold. While doing an appraisal, antiques dealer Morgan (Ferguson) discovers love letters hidden in Emma's mother's desk, and they're signed with initials that aren’t her father’s. In researching the mystery man, and while enjoying holiday festivities, Emma and Morgan fall in love. But when Emma's ex arrives, Morgan backs off. Then when he shows up at a gala with another woman, Emma is heartbroken. Misunderstandings abound during Christmas on Honeysuckle Lane, and the mystery of the love letters still must be solved. Maggie Greenwald directs from the screenplay by Caitlin D. Fryers, which was based on the book "The House on Honeysuckle Lane" by Mary McDonough. The movie airs again on November 28 at 11 p.m. ET/PT.